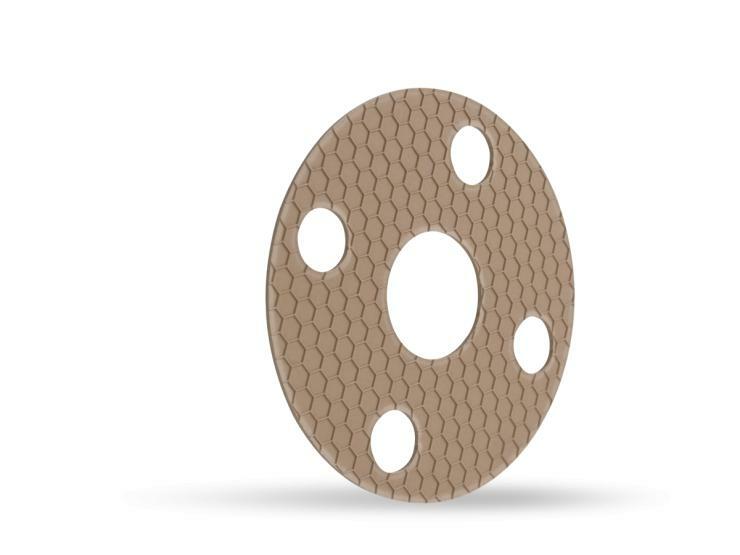 GYLON EPIX™ is a newly developed family of PTFE gaskets. It is manufactured using a patented, profiled surface based on our proven Fawn, Off-White, and Blue GYLON® to create highly conformable materials for optimum sealing performance. GYLON EPIX™ will provide superior functional performance by combining the traditional attributes of GYLON® with an innovative surface design. It offers a broader range of applications than traditional PTFE gaskets that are used in worn and pitted flanges. In addition, GYLON EPIX™ delivers the tight sealing and load retention properties of 1/16” (1.6mm) and the conformability of 1/8” (3.2mm). 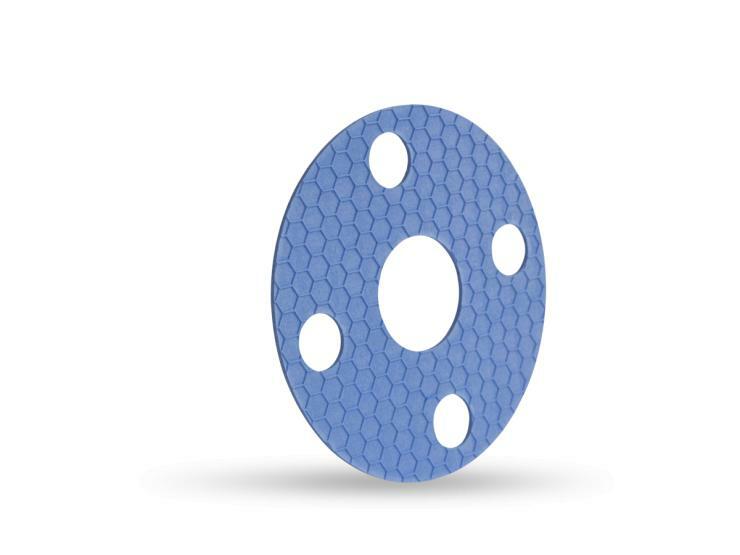 The hexagonal profile provides improved compressibility and recovery. 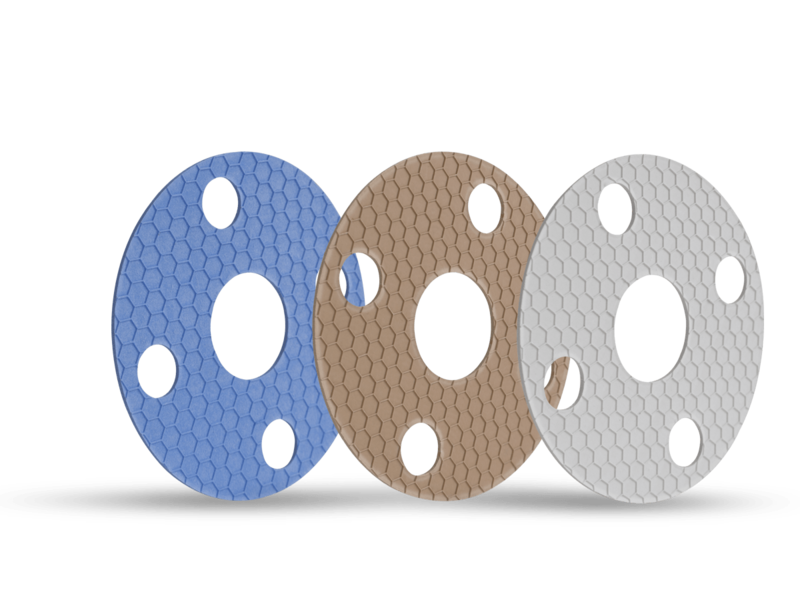 The profiled surface reduces the contact area during initial compression to concentrate the compressive force of the flange for improved sealability. 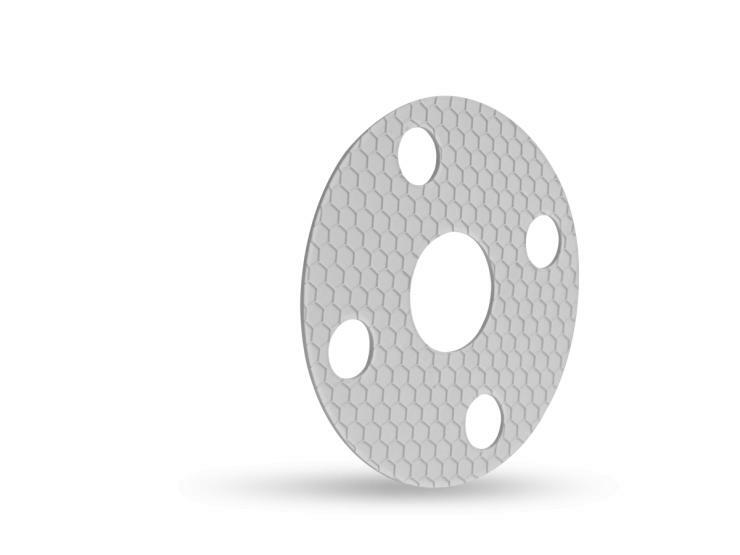 Designed for increased compressibility, GYLON EPIX™ improves performance in misaligned flanges. The consolidation of two thicknesses to one reduces the need to inventory multiple thicknesses. Garlock is dedicated to providing real sealing solutions that meet real world sealing needs. With an improved design, color-coded materials, and single thickness, GYLON EPIX™ makes sealing easier. PTFE with silica filler gaskets for use with strong acids, solvents, water, and other aggressive media. PTFE gaskets with aluminosilicate microspheres for use in moderate concentrations of acids, solvents, hydrocarbons, refrigerants, and more. PTFE gaskets with barium sulfate filler for use in strong caustics and moderate acids where an extremely tight seal is critical.